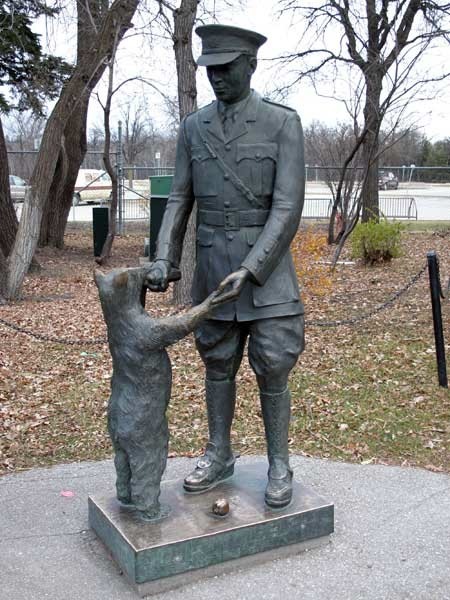 The Assiniboine Park Conservancy has relocated the Lt. Harry Colebourn and Winnie the Bear statue to make it more accessible to the public. Once housed in the Kinsmen Discovery Centre inside the Assiniboine Park Zoo, the commemorative statue has made a new home inside the Nature Playground at Assiniboine Park. The bronze statue and plaque was unveiled August 6, 1992 and was donated by the Kinsmen Club of Winnipeg.